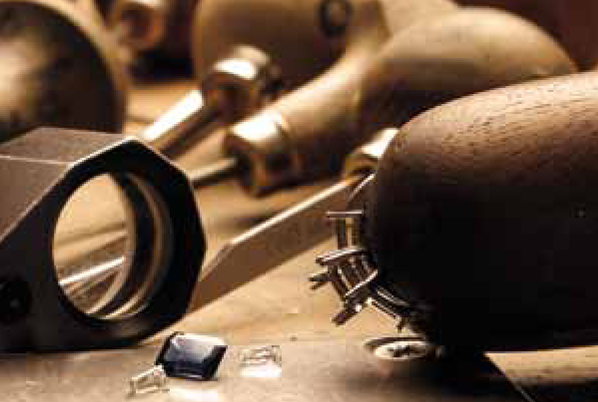 Queensbury Jewellers employs 2 full time working jewellers at the bench within their in-house jewellery workshop. The workshop enables us to offer a full jewellery repair and alteration service, our skilled jewellers are able to carry out simple chain repairs and ring sizings to full remodelling of your jewellery. Fully skilled in working with gold, silver and platinum and experienced stone setters, they are also on hand for free, honest, impartial advice. An express service is offered on several services including ring sizing and chain repairs, where we carry out the job for you within 24 hours, or sometimes whilst you wait. Ask about our free jewellery cleaning service.